I love reviewing golf courses where Major championships or big events are held, but which are open to the public. There’s nothing better than watching how the pros tackle a layout and then going to try it for yourself, albeit less convincingly! In this column I’ve reviewed TPC Sawgrass – always a great one to say I made two on 17 – and Pebble Beach, one of the most iconic golf courses in the world. It’s now time to explore Whistling Straits, which has just hosted the 2015 PGA Championship, and some other fabulous courses within striking distance. 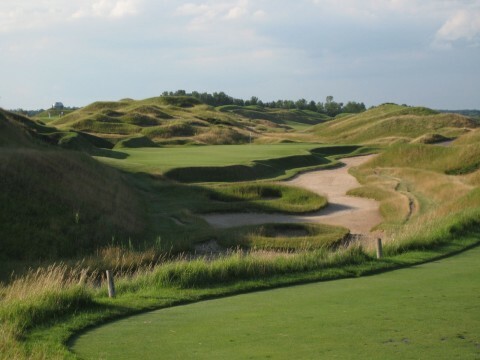 Whistling Straits is no stranger to hosting Majors, and in 2020 it will also welcome the Ryder Cup. It’s an extraordinary combination of legendary design by Pete Dye and the visionary inspiration of Herbert Kohler, Jr. Beginning with a 560-acre parcel of flat land, Dye sculpted a bit of Ireland and a touch of Scotland out of the Wisconsin coastline. If you ask Pete Dye, he’ll tell you that building Whistling Straits was a ‘once in a lifetime thing’, an impressive claim from one of the games pre-eminent designers. Whistling Straits, which opened in 1998, offers two courses of dynamic contrast. 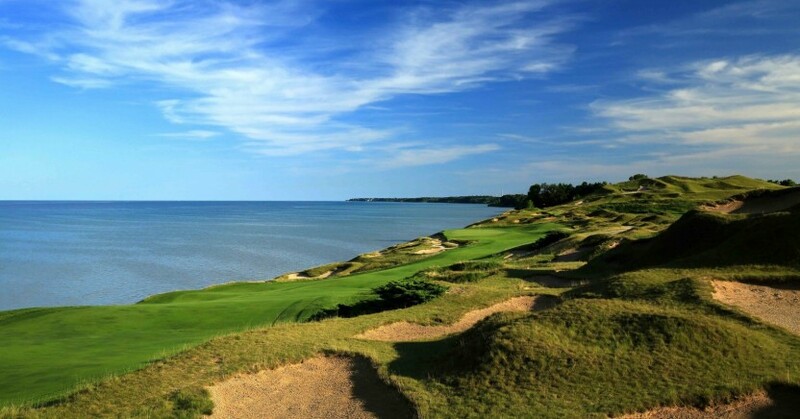 Open, rugged and windswept terrain defines the Straits Course, which is sculpted along two miles of Lake Michigan shoreline. Just inland, interspersed by four meandering streams, the grassland-and-dunes aspect of the Irish Course is a deceptively tranquil landscape. 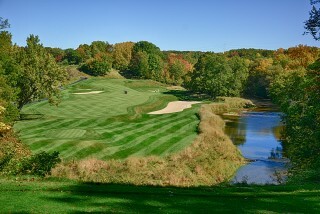 Indeed, there are four courses that make up the American Club Resort, located in and around the small town of Kohler, Wisconsin. Over two centuries ago, Chief Blackwolf and his Winnebago Indian tribe resided in the Sheboygan River Valley. Today, in that very same river basin formed by the flows of glacial runoff, you’ll find The River and The Meadow Valleys at Blackwolf Run. It opened for play in 1988 and was named ‘Best New Public Course’ in the country by Golf Digest. 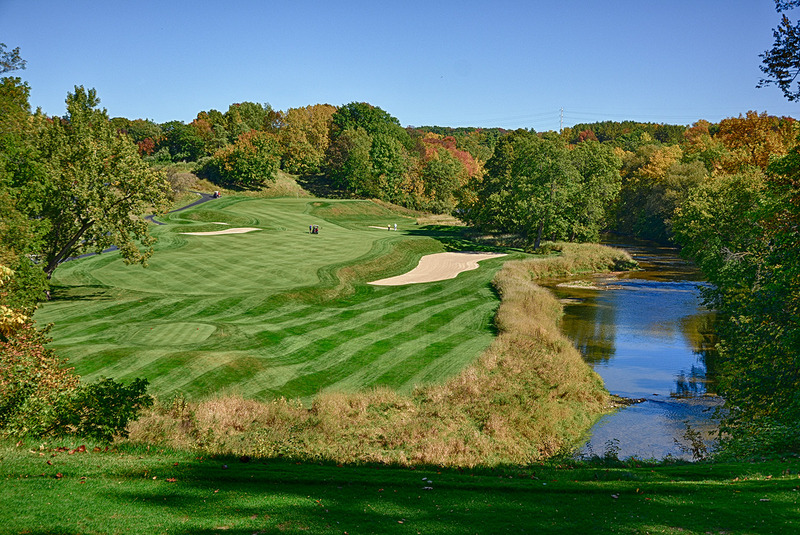 Regarded as one of Pete Dye’s crowning achievements, like the Straits course, it has hosted a number of professional championships, including the US Women’s Open in 1998 and 2012. Just down the road from Whistling Straits is another family-owned gem. Pinehurst Farms was a dairy farm for almost a century; however, destructive fires made for a change in use – and plans for the golf course were created. 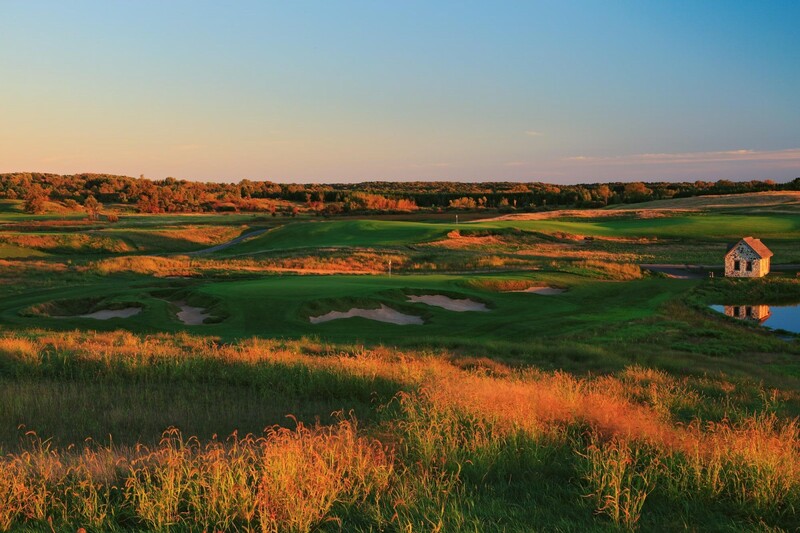 ‘The Bull’ sits on 410 incredibly scenic acres and boasts the only Jack Nicklaus Signature course in Wisconsin. It regularly ranks as the third best course in the state, behind the Straits course and the River course at Blackwolf Run. Most people fly into Chicago and make the two-hour drive north to play the American Club courses and The Bull, but there are also plenty of others worth checking out. Either on your way up to Sheboygan, or on your way back down, it’s worth stopping at Erin Hills, an hour south of Whistling Straits and 40 minutes from Milwaukee. 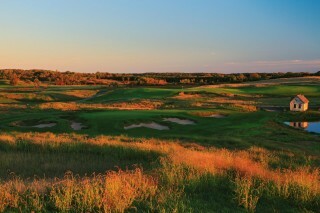 Erin Hills will host the 2017 US Open and carries many resemblances to Chambers Bay. Like Chambers Bay, Erin Hills is a public course, purpose built for a major championship, shepherded during construction by the USGA and awarded the US Open in its infancy. It’s also a ‘walking-only’ course with fescue fairways, a rarity in the United States. Both courses depend largely on Mother Nature for their water, and abide by the USGA mantra that ‘brown is the new green’! However, Erin Hills isn’t expected to court the same controversy surrounding the greens, with bentgrass used on the putting surfaces. Then there are the course characteristics. Erin Hills is more of a links hybrid; the ball bounces and rolls, but not to the extent we saw at Chambers Bay, reducing unpredictability. The general feeling in the golf industry is that it will be a fair, but fantastic test for the professionals, and a great experience for us mere mortals. To ensure prime playing conditions for the year’s second Major, it won’t open for public play in 2017 until after the US Open. As for other recommendations, here are a few more highly regarded layouts. The town of Spring Green has the House on the Rock golf courses, featuring 18 holes designed by Robert Trent Jones Sr. Set in a small valley by the Wisconsin River, it’s a stone’s throw from Frank Lloyd Wright’s famed Taliesin. The American Players Theatre is also adjacent to the resort. There is also a nine-hole course designed by Andy North and Roger Packard, while in northwestern Wisconsin, the 7,003-yard Troy Burne Golf Club near Hudson draws many golfers from the Twin Cities and beyond to its Tom Lehman-designed course. It opened in 1999 and was quickly recognised as having one of the best layouts in the region. You could quite happily have a great city break in Chicago and then a luxurious stay at the American Club, but there’s definitely so much more choice in Wisconsin than initially meets the eye. I can’t wait to go back and play some golf after spending my recent time there talking about it during the PGA Championship.